Thursday, May 23 from 5:30 p.m. to 8:00 p.m. 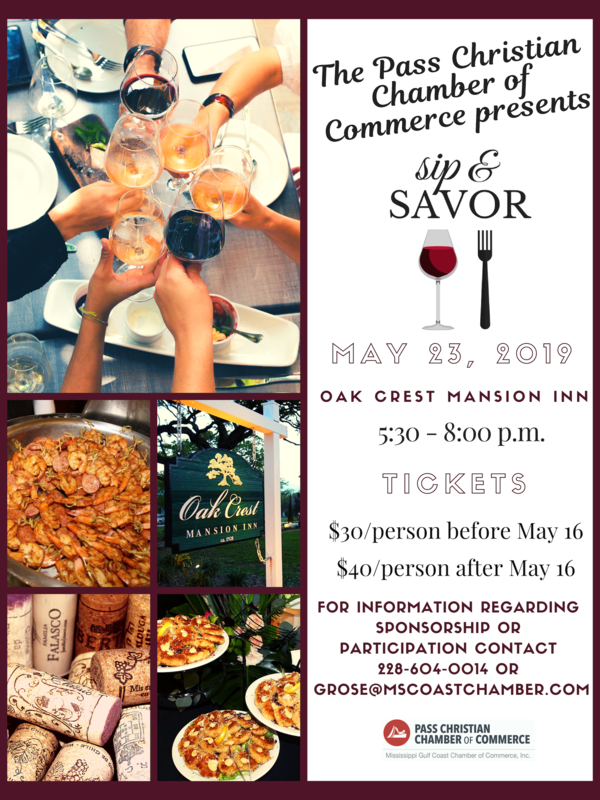 Enjoy local cuisine and beverages at the Pass Christian Chamber of Commerce's Sip & Savor. Sip & Savor is the new Pass Christian Wine & Food Festival!